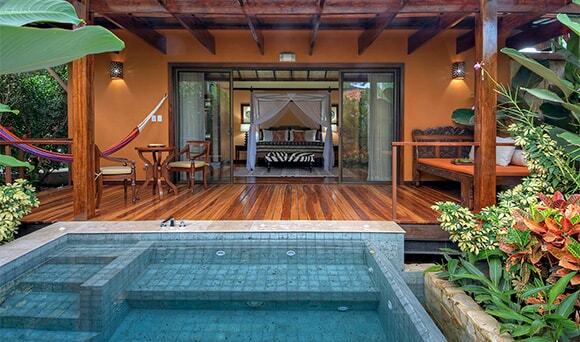 A honeymoon in Costa Rica sounds like a long-awaited dream. The warmth of the tropics, the exquisite flavors, the breathtaking landscapes and the known friendliness of the Costa Ricans make it one of the top romantic spots in the World. 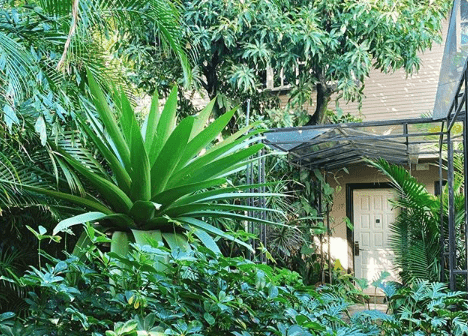 A honeymoon in Costa Rica is the reward after all the stress of the wedding, a time to take it easy, unplug from it all and connect to each other in this, the first moon of your lives together! The original idea of the honeymoon was to travel to see the people that couldn’t make it to the wedding. And a lot of people may come with you to the honeymoon. Of course, as communications became more accessible and more affordable, the idea evolved to a time filled with magic and romance, a time that will cause smiles and a longing feeling for the rest of your lives. This first time together as husband and wife is a period of acquaintance, of recognition of the marvelous compromise you just signed for — an inner settlement of what just happened to you, together. And is there a better place for this realization to happen than in the intense nature of peaceful Costa Rica? 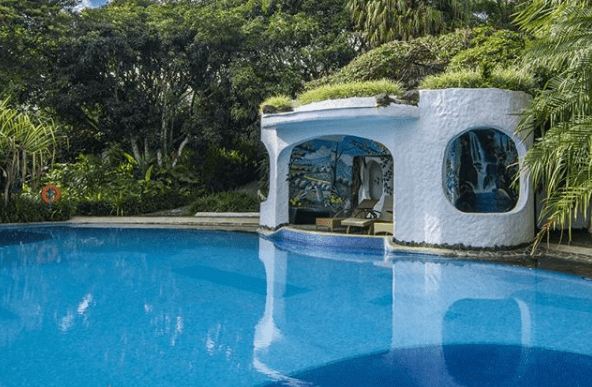 Of course, the first step to do “your” perfect honeymoon in Costa Rica is to get a real local expert that will create a balance of romance, magic, beauty, and practicality. And that will grant you above all that you can fully dedicate to be happy without any stress. 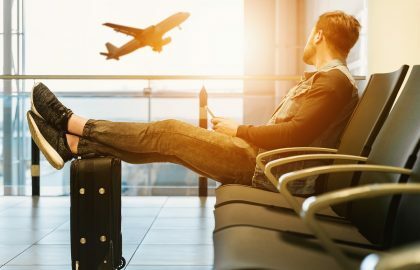 Know that you must feel at ease with this person, that you will laugh and think the way to this trip but, above all, that the team behind this person will take care of the stress. So! With this in mind, we made a sales department romance meeting, and created our “perfect honeymoon itinerary” with the romantic ideas of all our staff… and their families! A package made of intentional and extremely romantic moments. The ones you see in the movies, the ones you dreamed of when you were a teenager… and the ones you will create together. You may be arriving into Liberia or San José. 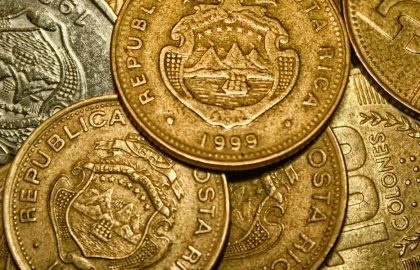 However, in this honeymoon story, you will be coming through the SJO airport, located right in the center of Costa Rica. Just picture yourselves, in this perfectly romantic nature surrounded haven, enjoying the blue-green landscapes, the buzzing city lights in the back, far away. Your room is art in 3d! Created inch by inch to create a senses banquet. Cozy but intense, comfortable, yet, magical. Breath in and live the dream! Let’s now think that you are into seeing other cultures and traveling abroad in your honeymoon is because, for you, exploring is part of the romance and being together. If it is so… Then you’d like to stay closer to the city. Be able to take a walk and get into local foods, markets and ways of life. So, here we have the Grano de Oro Hotel. 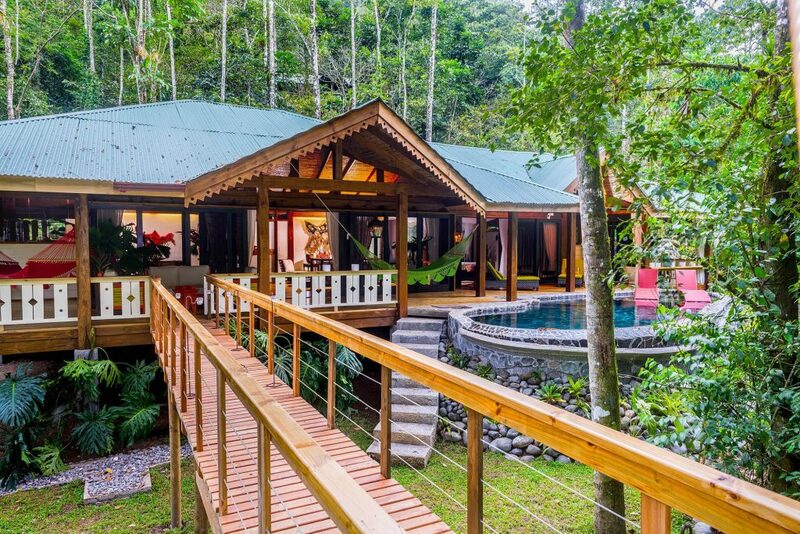 A sanctuary of peace and classical beauty very close to the heart of Costa Rica. A place that combines luxury, comfort and the personable quality of the boutique hotels. You may want to go in an organized walking tour with one of our experts that will get you to the soul of the city, or you may want to take a stroll and see the museums by yourselves. Whatever the case… there is something to enjoy in San José always! And of course there are many other options to live romance in the heart of Costa Rica, ask our experts and they’ll lay the possibilities right in front of your eyes. Just picture rainforest, all around… The aromas, the wild and refreshing air, the isolation feeling, and the sounds! The fantastic life sounds all around! 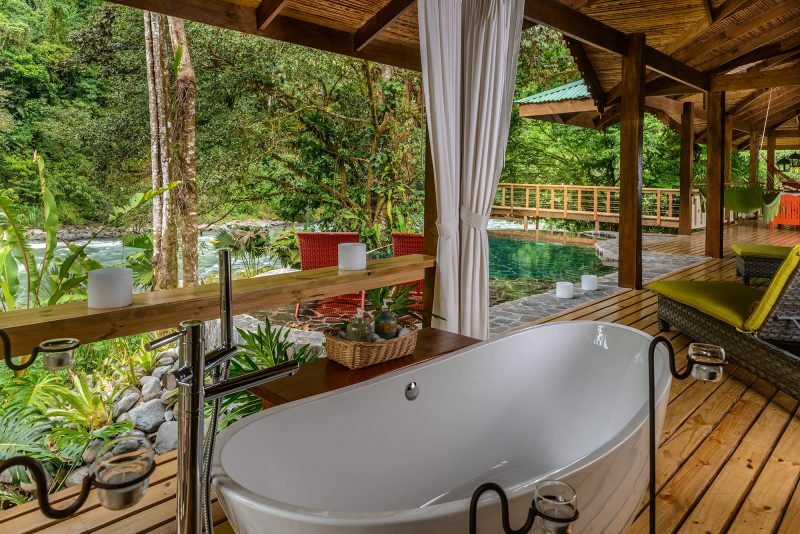 A bathtub facing the forest… the bed overlooking the river… Your time together totally unplugged from the World and merged with these romantic sensations that nature brings naturally. The best of the World, raw nature and ultimate luxury… together in this piece of paradise! On the first day, you will enjoy the hotel grounds and your time together. By the second day in Pacuare Lodge, you will immerse in the native culture of the Cabécares. An ancient indigenous group that has lived in this jungle for several centuries. This night you will enjoy a private gourmet style dinner by the river with the music of the stars and the infinite noises of the jungle celebrating your love in an intense nature concert. Another option for your second and third nights, and with similar qualities is El Silencio Lodge, amid the Central Volcanic Mountain range and facing the small and enchanting Bajos del Toro Valley, El Silencio will grant a peaceful and luscious start of your trip. For the second day in El Silencio, you will have the dream hike! Is there any more romantic idea than a rainforest surrounded long white waterfall? A great hike down to the base of a deafening 400-foot waterfall that drops into a lost volcanic crater. 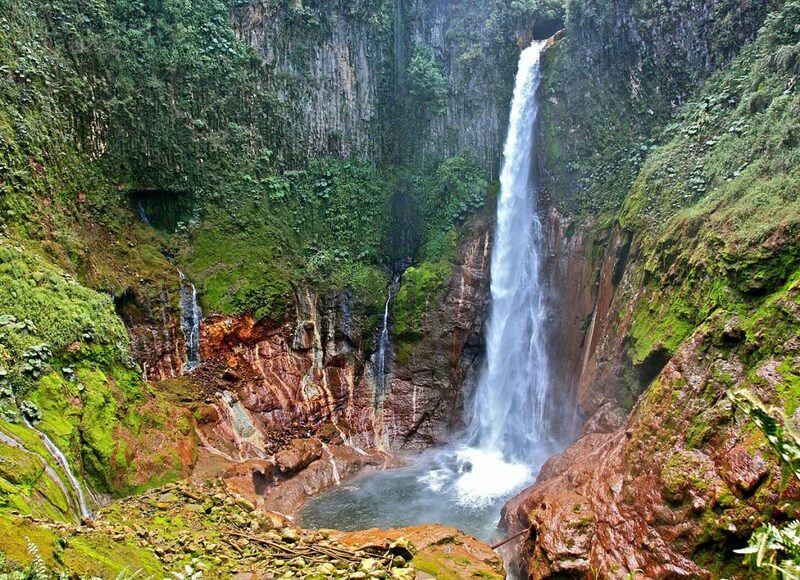 One of Costa Rica’s most powerful and secret sights! The impressive view will render you breathless. For the evening relish on a poetic torch-lit dinner in a private forest-surrounded atmosphere. Circled by torches and aromatic candles, your flawlessly laid out table awaits. The next day, and on your way to Arenal, thrill in a river rafting trip that will take your breath away. A tour that brings together your sense of adventure and the thick forests surrounding the river. Let the adrenaline charge your battery and live this fantastic day fully. 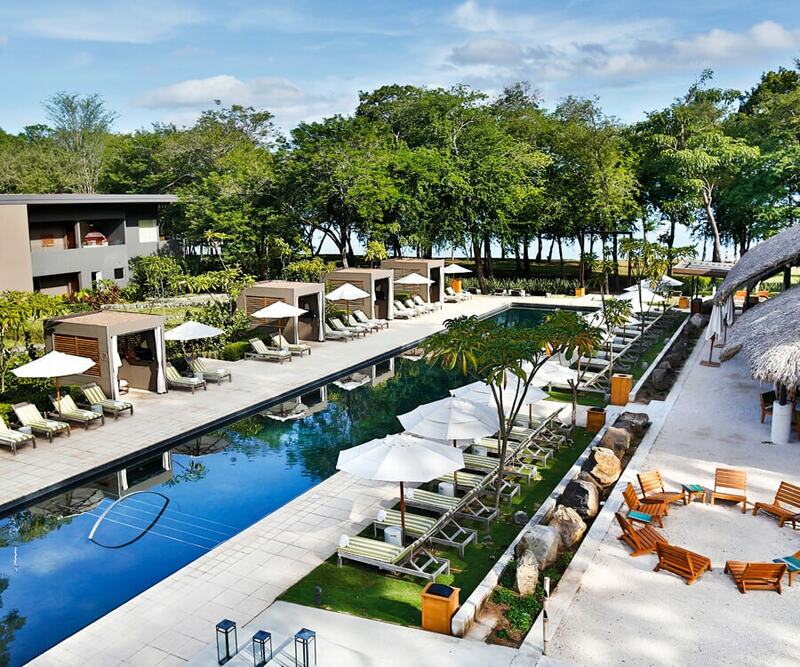 And in the Arenal region, the Forbes, Trip Advisor, and Travel and Leisure awarded Arenal Nayara Springs is probably everyone’s favorite for a honeymoon. 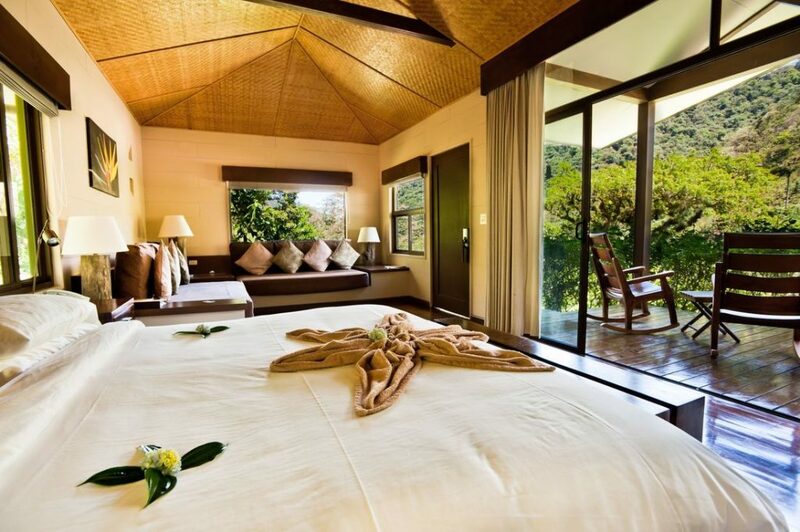 Surrounded by rainforests and a natural stream and located over a hot springs source, Nayara rooms are the epitome of romance and leisure offering adults only, genuine, intimate and luxurious experience while facing the massive Arenal Volcano. And this is a hotel room you want to have time to enjoy! 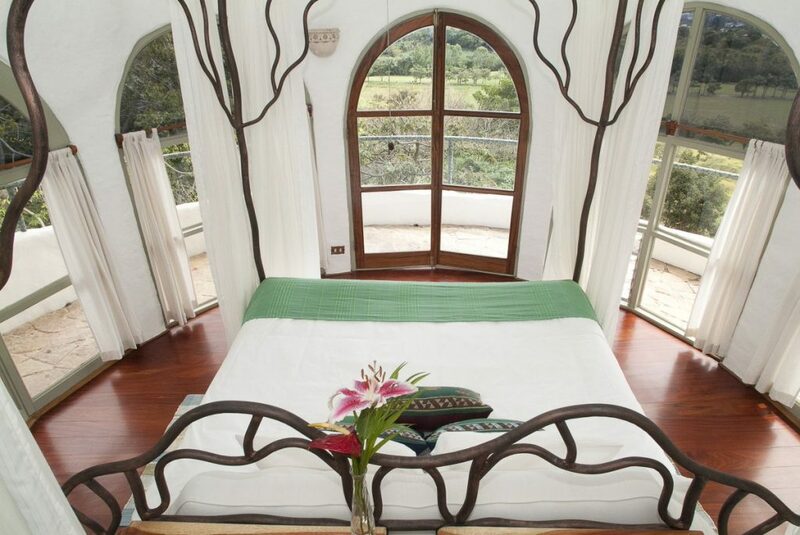 In the Arenal, several options are as romantic as Nayara Springs. 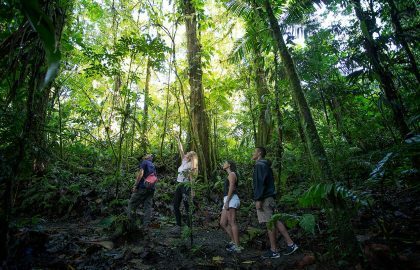 You can go for the adventurous and a bit remote The Springs, and the rainforest surrounded Lost Iguana, the beautiful Kioro Suites, or the magnificent Tabacon Resort. 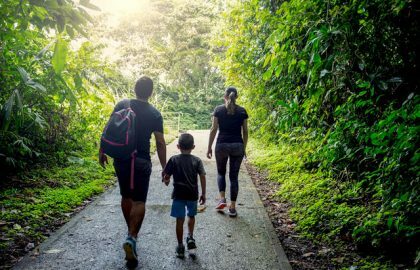 If you are not as much into adventure this time, but more into a leisure and relaxed vacation, Arenal is a hub for all sorts of wellness spots. 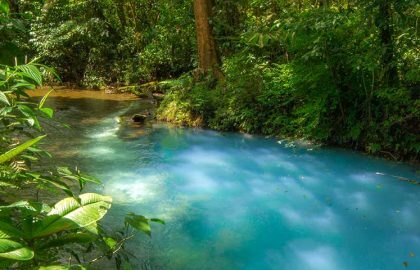 With a tremendous volcanic source for hot springs and clay, renowned spas are everywhere in the region. Your honeymoon may include romantic couples massages treatments, your open-air jacuzzi or plunge pool and a lot of time to just relax in the sounds of the surrounding nature and feel good. And if you are coming to the tropics… You must go to the beach, right? 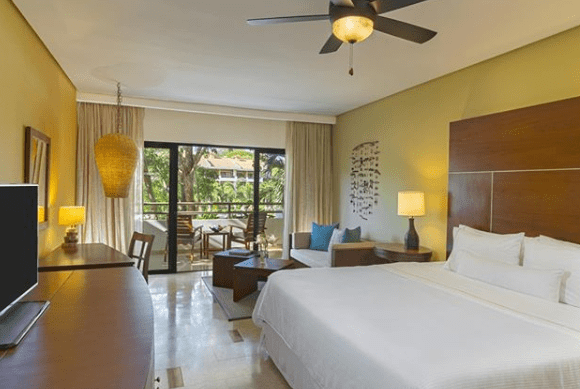 And is there a better place to enjoy the stunning beauty of the Costa Rican beaches than a hotel so perfectly set that is right in the middle of two gorgeous beaches? 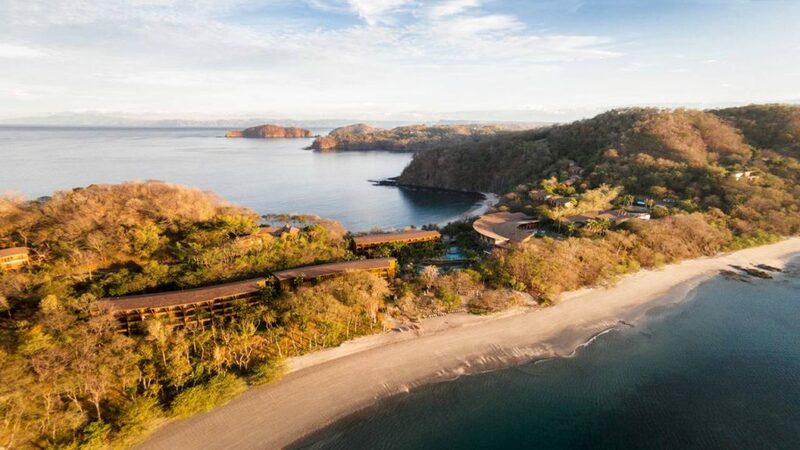 The Papagayo Four Seasons hotel is surrounded by native tropical landscape, and you will enjoy the exotic wildlife sounds and sightings as well as a magnificent bay view right from your room. Another breathtaking possibility if you like All Inclusive hotels is The Westin Golf Resort & Spa, Playa Conchal. With all sorts of activities, a fantastic array of culinary choices, a professional and stunning golf course, and a most fantastic surf, the Westin is an excellent choice for those who merely want to relax and enjoy. A third choice, if you are into a more intimate sort of hotel, is El Mangroove. 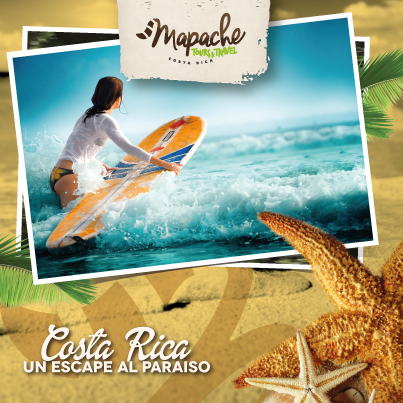 El Mangroove is the closest beach resort to LIR within Guanacaste, at just 20 minutes from the exit from the airport to sand. You can choose the All-Inclusive Plan or go for your alternatives (Especially if you rent a car). 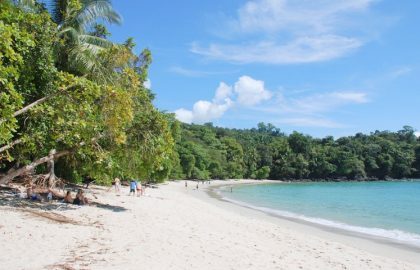 Probably, our favorite and most romantic tour goes on a private boat ride into the most isolated and remote beaches of the fascinating North West coast of Costa Rica. You will have a private hot gourmet lunch served on a secluded cove. Spend the day doing what you like best, snorkeling, surfing or merely resting to enjoy the sun and breeze. Although it depends, you may want to go for more experiences while on the beach. The rest of your honeymoon may be spent directly delighting in the romantic and beautiful environment of the Costa Rican golden coast. On the way back home you may want to depart from the closer Liberia Airport. 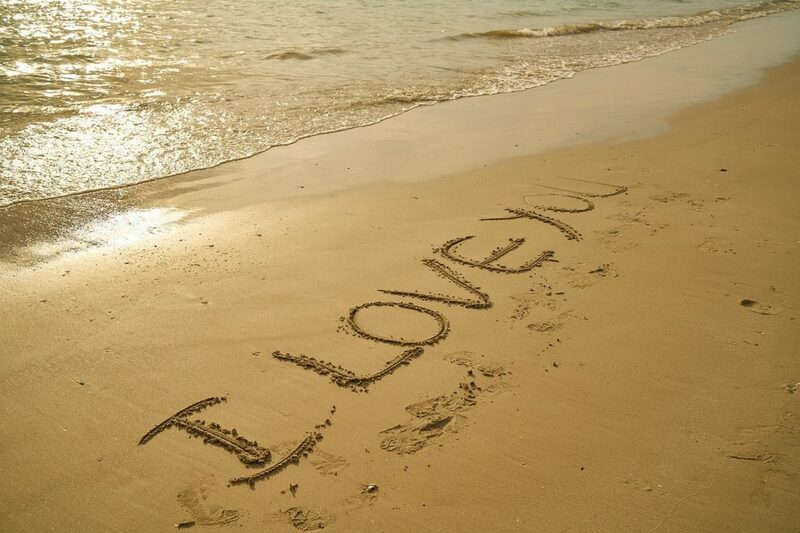 This is just a sample itinerary with our ideas for an ideal and most romantic honeymoon. However, the best is to contact a travel expert in Costa Rica, let us know your dates and ideas, and we will create a grand time to give a great start to your lives together! ¿What to pack for Costa Rica?